It is well-known that shipping operations have evolved in many ways and the requirements to comply with the regulations also change steadily. In fact, the cargo volumes increase every year, making cargo ships capacity to also grow. That is why most shipping operators utilise a reliable computing equipment to make sure that freight items can be delivered in a timely manner. Along with its advanced computing system, ship operators also use industrial-grade PC peripherals. This is to ensure that specific functions are performed in freight operations. One of the most recommended computer peripherals by IC experts is installing pointing devices such as TB38 trackballs. Its corrosion-resistant material makes it ideal for a salt air environment. So, operators can expect that this device will function during peak operational season. 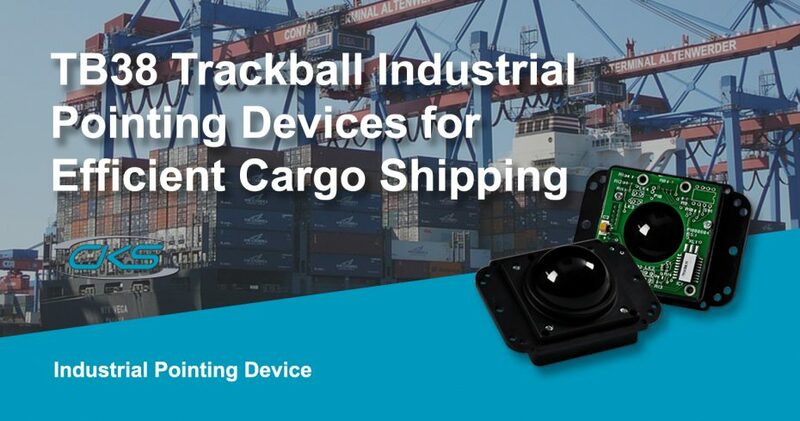 Now, do rugged trackballs have the capabilities to withstand complex applications and frequent usage in cargo shipping? Learn more on this blog about the benefits in building rugged panel PCs with the TB38 trackerball for industrial applications. What is important about shipping operations is that navigators must plot the most efficient route to ensure that the vessel arrives on time [Marine Insight]. Moreover, its navigation system should also be equipped with the right computing equipment to optimise its data analysis and sea course processing capabilities. For cargo ship applications, it would be a great option to install industrial pointing devices like the TB38 trackerball. It features a Phenolic resin material, which is a known substance that is being used in many industries because. Its structural integrity can withstand temperatures of up to 350oC. Therefore, the TB38 trackerballs have the capability to endure rugged applications in shipping. Apart from its high durability, let us make a quick rundown of the other key features of TB38 trackballs. Complex processes involved in modern of transportation must come with robust and sturdy computing systems. And, this includes integrating pointing devices in shipping applications. Check out these 3 essential benefits of using TB38 Trackballs on Panel PCs. In ships, heavy machinery and freight usually take up most of the available space. As a result, there is a limited space allocation for a dedicated computing system with clunky peripherals. But, the T38 trackerball has a compact 85 mm by 90 mm metal plate size and a 38mm ball size. So, this makes it small enough to fit in most dedicated spaces. But, rest assured that operators can utilise this pointing device even in critical process. This rugged pointing device is built with a structure designed to operate in environmental extremes. In fact, it can withstand temperatures between -20oC to 60oC. So, this is ideal for ships since it traverses international waters that have fluctuating climates. Most cargo ships use a specific computer program to monitor its critical systems. However, the software involved have specific requirements. That is why the T38 trackerball’s highly compatible firmware makes it ideal for this application. It performs optimally with interfaces like the USB, PS2, AT, RS232, RS422, RS485, XT, TTL, DEC, and SUN systems. Thus, users can access the PC without worrying about software compatibility. Nowadays, the shipping industry is implementing modern applications to optimise various transportation processes. But, all these systems require industrial computers with compatible peripherals that can withstand the extreme work environments. Therefore, consider industrial pointing devices, like the TB38 trackerball to help in speeding up shipping operations. Contact a trusted industrial computer manufacturer today for more information.